I have been driving in one direction with a series of blog posts recently. That direction is to spur one business off from the proceeds of another. For those following these post, it would come at no surprise at all the business I refer to is Compumatrix. We have been developing a concept that will set the World on fire (financially). One of our members, Ryan Gallagher, in recent posts on the forum discussed representative values such as stocks and fiat money. They in themselves do not hold value but they represent something of value. He mentions also the underlying value that is represented by cryptocurrency. 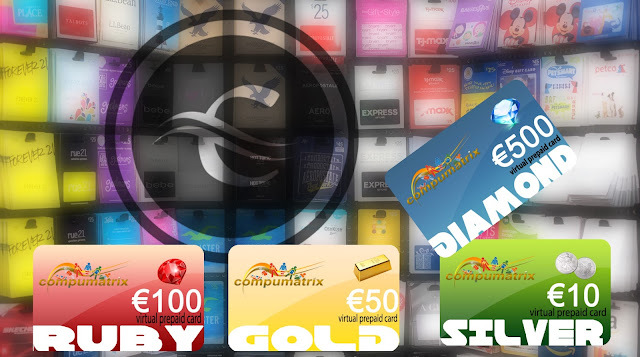 Now, it is established that Compumatrix is indeed a business and from this business, it is possible that other businesses will come. I talked about Compumatrix being the base to build off but what does this really mean? The short answer is to use the product (Compuceeds) that Compumatrix produces to leverage other ideas. To fully understand this, one must understand what the value is. Compuceeds represent value (just as Ryan Gallagher discussed on the forum). This value is derived from intellectual content. There is value in everything we do and everything around us! If you had an idea and didn’t act on it only to find someone else produced that idea years later, you watched someone become a millionaire with one of your ideas! Henry James Banayat (the founder of Compumatrix) often stated he wants us to take our proceeds (Compuceeds) and build other businesses. (and come back here to advertise them) I fully intend to take him up on this and partner with my Compumatrix business to provide other opportunities. I have already discussed starting a Construction business knowing I will have the support I need to take this business thru the steps necessary to achieve higher goals. What is the stored value that Compuceeds represent for us in our interlinking business models? To understand this, we must think like a Bank thinks. The Bank has a vault that they lock their valuables in for safekeeping. Because of the reputation of the bank’s safety, you agree to let them hold your Gold, Silver, money and valuable. In turn, they give you “fiat” money that you can use in your daily activities. Why don’t we trust banks anymore? The banking industry has used deception to increase their profits. The bank used to make a profit by charging you a fee to hold your valuables. In the meantime, they would loan the value of your valuables (for a fee) to someone else. We lost trust when they kept loaning more than the amount they have on hand (lots more). Why do we consider businesses as stored value? When a business gets started, it hold little to no value. Once it is established, the value grows. When a business reaches the point that the owners desire to place it on the Stock Exchange, then the business “can” dramatically increase in value. The owners sell some of their stock to provide funds to further grow their business (or their personal assets). What is Stored Value of Compuceeds? When we dive into the World of Cryptocurrency and Compuceeds, we are looking at electronic means of controlling value. Compuceeds are produced from the efforts of members when they do online work (such as producing content).